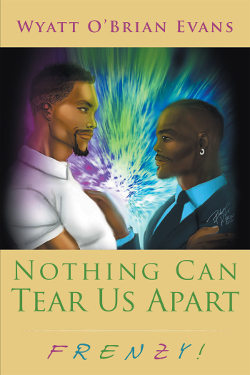 LaToya Hankins is an author, poet and an activist. Upon graduating from East Carolina University, she earned a Bachelor of Science (B.S.) degree in Journalism and a minor in Political Science. 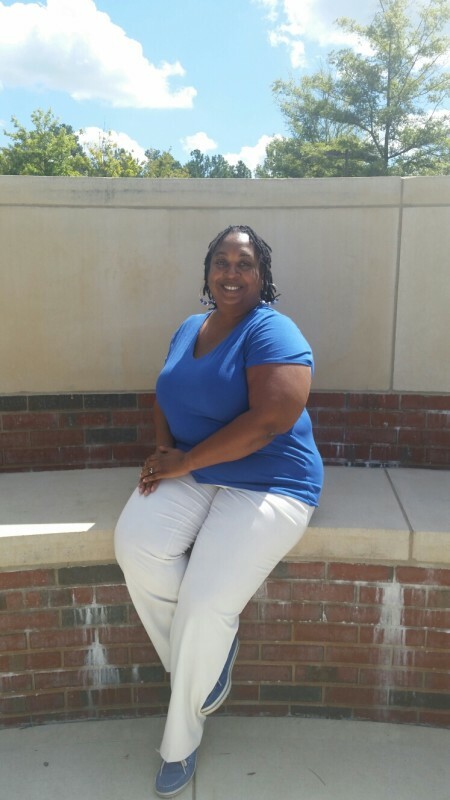 Currently, she is the president of the Zeta Phi Beta Sorority graduate chapter in Raleigh, North Carolina (N.C.) As co-founder of the Shades of Pride organization, she helps create opportunities to acknowledge and celebrate the diversity of N.C.’s LGBTQ communities. Her two books, “SBF Seeking…” and “Rho: The Sweet Taste of Sisterhood,” focus on the lesbian experience–not just through the eyes of the main character, but also on how North Carolinians react to that main character’s lifestyle. Ms. Hankins’ entire body of work demonstrates that she is an inspiration to us all. Just recently, Nathaniel Octavius Nerdo (my alter ego) sat down with the charismatic, enterprising and multi-faceted Ms. Hankins for one absorbing and enlightening experience. 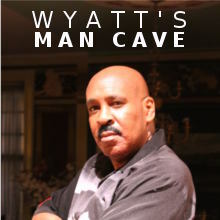 Nathaniel: LaToya, welcome to WYATTEVANS.COM! Thanks for granting me this interview. LaToya: You’re welcome! It is my pleasure and I am excited to talk to you. Nathaniel: Well, before I inquire about the “LaToya’s World” in North Carolina, I first have to ask you to tell me the story of what happened to you when you were five years old. I found it amazing, creative and inspirational. LaToya: Oh, yes. When I was five years old, I had open heart surgery. And since I was in a small town in North Carolina, everyone knew; especially since I was not in school for a while. And kids, by themselves are curious. So I figured: why not capitalize on their curiosity and make me some money for ice cream and candy? So I was charging, I think, a dime to see my scar! Kids would follow me to the bathroom, and I would pull up my shirt and show them my scar. Nathaniel: So you just pulled up your shirt? LaToya: Oh, yes… The scar goes from the middle of my chest to my back, so I would just pull up my shirt. The kids got their money’s worth, and I got ice cream and candy. But it didn’t last that long. Nathaniel: Well, thank God you made it through! You are such an example. And secondly, I think that was a very entrepreneurial idea to have at such a young age. LaToya: Thank you so much! Nathaniel: So what about junior high and high school? Did you do other imaginative, innovative things? LaToya: I didn’t do too much exciting stuff in junior high school. I basically kept to myself. But in high school is when I started questioning my sexuality, although I didn’t act on it. I started wondering and noticing some things. And I was feeling some kind of way but I never spoke about it. Nathaniel: So in high school you didn’t know or do anything with women? LaToya: Well, no. I am a procrastinator by nature and I just didn’t take the time to do anything about it. I focused more on my school work. I really focused on just being involved with school projects. Nathaniel: So in college is when you came out? LaToya: Well, no. I didn’t come out until I was 25 years old. In college, I didn’t focus on my sexuality. I focused on school work and my career. I had a good friend who was a guy and we did everything together. And he knew his sexuality; that he was gay. But we never discussed it, We were like each other’s cover because everyone thought we were boyfriend and girlfriend. But years later, I realized that all the signs were there for something to happen in college with women. I just never acted on it. Nathaniel: So, was your sexuality an issue when you pledged the sorority? Did anybody know? LaToya: Well I did an intake into the sorority. So I didn’t actually do the college pledge thing. And at the time, most people didn’t know and it was not an issue. But today, with Facebook and whatnot, I am sure my sorority sisters know. Nathaniel: Did you start writing in college? LaToya: I did! But I worked for a newspaper and a minority magazine. So it was more featured topics, or should I say, “assigned topics.” I wrote some poetry and short stories. I did not do fiction writing. I did an internship with a local newspaper, so it was all non-friction writing. But I always wanted to be a writer. I am a big reader, so I appreciated works of fiction. However, I always thought I was the one to read the books—not actually the one writing the books. Nathaniel: Do you prefer writing short stories, or writing books? LaToya: Well, I prefer short stories because I like it when you have a definitive beginning, middle and ending. And writing books, you may think you are at the end; however, something comes up and then it becomes another chapter or two. It’s hard to write a lot of words and make it make sense and interesting. It takes, craft, dedication and commitment. You have to actually sit still and write, and edit and re-write. Nathaniel: I assume that your books do not mainly focus on the “gay thing,” so to speak. LaToya: They have gay characters. And one thing I realize is that as gay, lesbian, transgender and people of color, we don’t exist in a vacuum. We have friends, family members and work experiences with people who are not gay. I wanted to make sure that when I write my books, I incorporate gay and straight characters. I wanted to show that gay people can exist with their family members and friends who are not gay, and that everyone can respect each other. 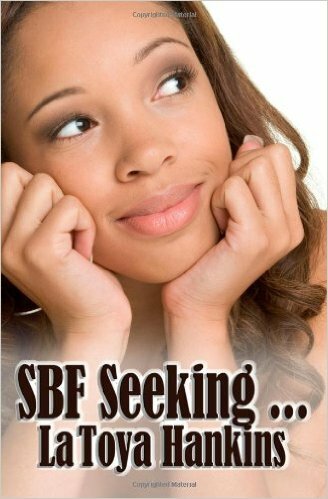 Nathaniel: Now with your first book, “SBF Seeking…” You did accomplish that with the coming out scene. I loved the way you wrote that. LaToya: Yes. The main character came out to her straight friends and family, and they all had different reactions. And in my second book, “Rho: The Sweet Taste of Sisterhood,” one of the line sisters comes out, and it tells how she deals with the rejection from her sorority sisters. Therefore, I wanted to make sure that if you read my books and you are not lesbian, you can still find yourself in the pages. You can find a character that you can identify with. Yes, you may want to identify with the main character who is a lesbian. But also, you may be a divorced women with two kids, or a women on her second marriage or somebody’s mama. There is a character for you to relate to. Nathaniel: Now you have two books. Do you plan on writing another? LaToya: Actually, I am in the process of writing my third book which is initially called “Waterworks Whispering.” I plan on releasing it in January 2016. Nathaniel: Why should people read your books? LaToya: Great question! Because they are interesting and relevant. It is easy to find yourself in one of the characters, and they give you food for thought. I think my books make you see things in your own light and in the light of others. And it gives you a chance to visit North Carolina through my eyes because that is what I write about and where I reside at and from. Nathaniel: How is food an inspiration when you write books? LaToya: Food is the great “smoother over” for negative emotions. Because you can’t be mad with anyone with your mouth full of food! You can’t be mad if your mouth is full of ham and beans. (She’s smiling.) You have to swallow your anger. Also, I think most life decisions are made over a plate of food. I wanted to incorporate that in my books because everything goes better with food. If you share a meal, you can break down barriers. And in my books, I mention actual restaurants in the Raleigh area that are black-owned that gay people go to all the time. Nathaniel: Now you are not just the president of the largest graduate chapter of the Zeta Phi Beta sorority in North Carolina, but also the co-founder of the Shades of Pride organization. What’s the organization all about? LaToya: The Shades of Pride organization brings people together to share life’s experiences with being gay. We are an active supporter of LGBTQ issues and address health disparities that affect our community, especially our young people who are coming out younger and younger each day. We need to educate them so that they feel good about themselves and their lifestyle, so that they accept themselves–as well as others accepting them. Nathaniel: What is your message to the LGBTQ community in the South? LaToya: I want to represent the South in a positive manner because we are doing great things in the LGBTQ community here. We have an “out” lesbian on the city council. And she is sitting on that council with an “out” black gay man. We have had an “out” black gay senator. We have a lot of out gay black people doing many great things in North Carolina. When you think of the South and gay events, it is not just Atlanta. So my message is “Don’t sleep on the LGBTQ community in the South.” We are doing a lot of positive things in North Carolina. And I am here to represent, and support and spread the word that we are here and you will hear more and more great things going on down here. Nathaniel: How can people reach out to you? 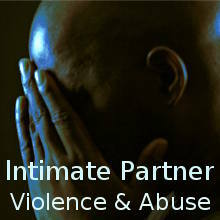 LaToya: At www.Latoya Hankins.com. On Facebook, LaToya Hankins; on Twitter, Hankins Latoya; on Instagram, Toya Hankins. My email is Latoya.Hankins@yahoo.com. Nathaniel: LaToya, it certainly has been a pleasure talking to you! You are in inspiration to the South and the LBGTQ community as a whole. And, we will continue to look for the inspired, extraordinary writings and works that you do that support our people and the community. R. L. Norman is a writer, performer and author of the popular series of novels entitled, “Honey Let Me Tell You.” The fourth and latest installment is “Love Is Complicated.” The sequel will be available soon. As well, he performs“Norman’s One Night Stand,” a one-man show he conceived and wrote, showcasing the main character of his series. R. L. also is writing a play based on “Honey Let Me Tell You.” All of these endeavors are part of the production company he’s forming. You may reach R. L. at his on line home, www.rlnorman1.wix.com/honeyletmetellyou; by email at: rlnorman@aol.com; on Facebook at RL NORMAN; on Twitter, @rl_norman; and on Instagram:rlnorman1. 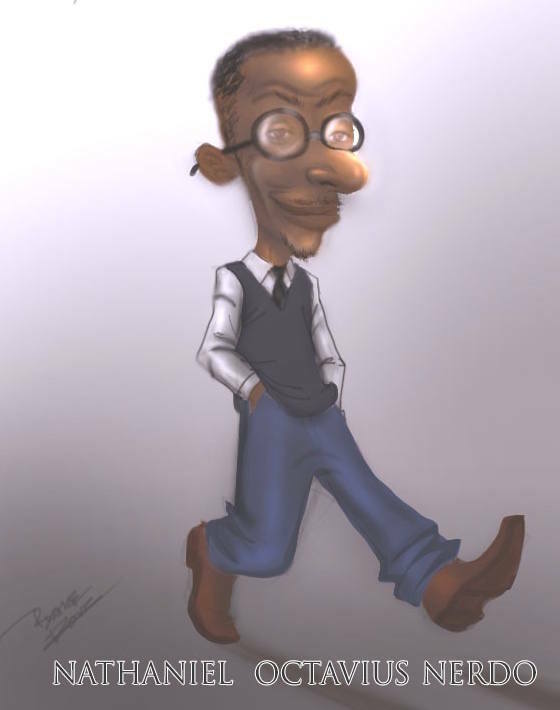 This entry was posted in guest and tagged Guest Post, Honey let me tell you something, LaToya Hankins, Nathaniel Octavius Nerdo, R.L Norman on October 29, 2015 by Wyatt O'Brian Evans. So happy to see this interview with you and LaToya. Too often we don’t have spaces where we share in our literary genius, but as a notorious Lesbitarian, I’m happy to see others are bridging that gap. Kudos to you both R.L. and LaToya. Much Love! Wonderful news! Great commentary on an awesome spirit. LaToya, keep doin’ what cha do lady. Your voice is needed and quite appreciated. Latoya is one of the most brilliant writers in the world. She is also a brilliant reader. She taught me how to really READ black literature–which is a very special gift that I have always treasured. How exciting to see this insightful and inspiring interview with her! Great interview. I must check out Ms. Hankins books. I love her energy through this interview. R.L. Norman; again has inspired his reader by bridging the gap with the lesbian community with this interview, insightful look into the world of LaToya Hankins. I hope that her life will encourage other like in both gay man and lesbian for the future. Norman again has brought light to his reader from the darkest, both LaToya Hankins and R.L. Norman will be one great inspiration author of our time, speaking on real life topics, lesson to be learn with heart and soul. May god bless their step as we read more of the important word written by their hands from the heavens. Outstanding interview… I enjoyed the flow of the conversation and the positive manner in which LGBTQ is representing NC. Enjoyed this interview. R.L. Norman and LaToya are showing us all gay, lesbian, straight, bi, etc… that people are people. Love the people not the sexuality.